No wires. With The Dash, you enjoy perfectly synchronized true stereo with no echo or imbalance. The benefit is seamless music and hands free communication with no cables or wires to manage. 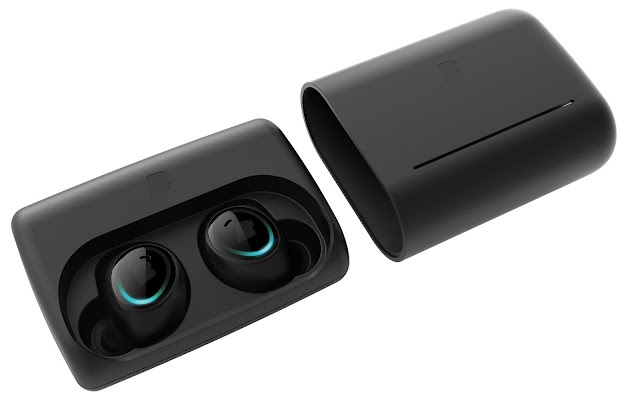 The Dash is the world’s only Hearable equipped with both a powerful processor and its own operating syst em called Bragi OS. This tiny computer allows The Dash to translate human gest ures or movements into action items. For Example, answer or reject a call on your phone by simply nodding your head. 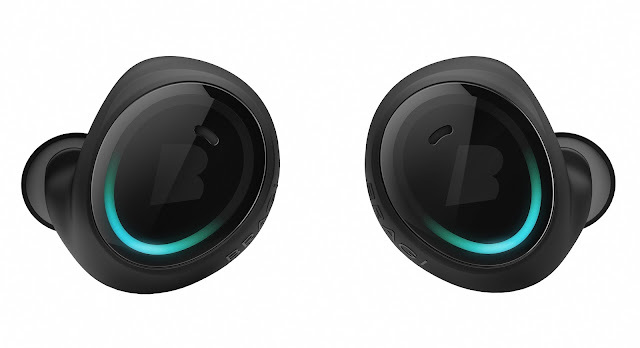 The powerful microcomputer is also regularly enhanced via Bragi OS updates. This means that with each software release, your Dash gains more functionality, without having to buy a whole new set of earphones. The Dash’s EarTouch interface allows users to interact with their mobile device, play st ored music, activate audio assist ant or art a fitness activity with a simple touch. No matter where inspiration takes you, The Dash goes with you everywhere, even under water (up to 1m / 3 ft.). The Dash is the only Hearable that swims with you, while your favorite music pushes you through the workout. The Dash is for all types of fitness activities. Integrated sensor technology allows The Dash to track your heart rate, steps, dist ance, cycling cadence, swimming laps and swimming breaths. With each Bragi OS update, even more trackable features or enhancements are added. li sten without connecting to any device. When making calls, The Dash features an intelligent machine learning algorithm which dynamically mixes the internal EarBone and external microphone signals to reduce background noise, filter out the sound around you and allow for a clear phone experience. The Dash’s Audio Transparency function allows you to list en to music, podcast s, games or phone calls while ill hearing the world around you. With a simple swipe on The Dash, you can allow ambient sound to enter the earphones, making you more aware of your surroundings. The Dash has one of the longe r last ing batteries in any Hearable. It keeps going with 3 hours of battery life and comes with a portable charging case, allowing you to recharge your Dash up to 5 times on the go. Find the perfect fit for your ears with FitSleeves. The PerfectFit ensures that The Dash stays in your ear when you’re swimming, running, jumping, or dancing. 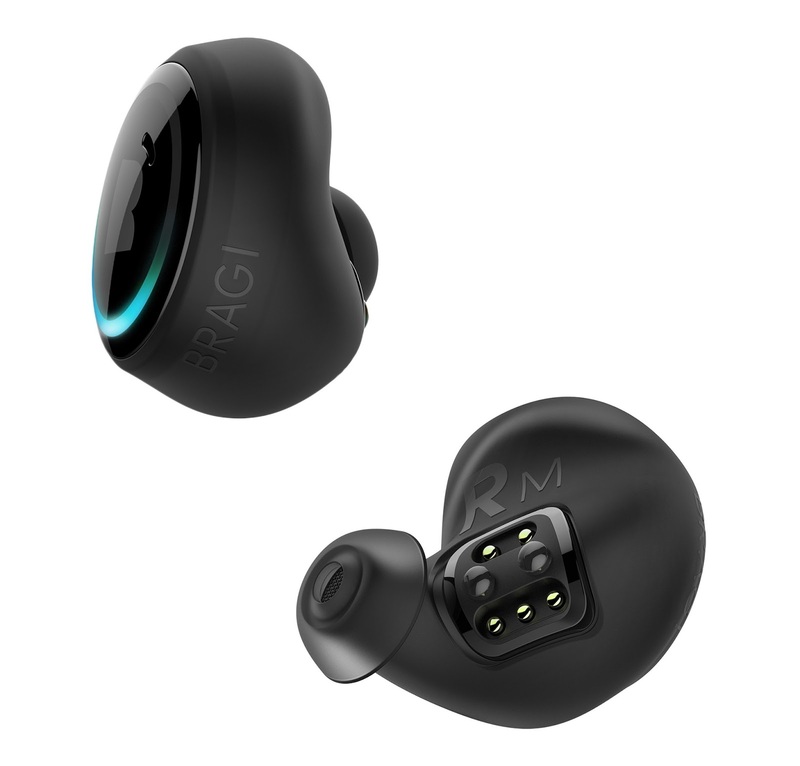 The Bragi app is the smart extension of The Dash on your device. You can use it to cu stomize your Dash profile, check workout data, set up controls, review hi story (for workout data collected through the Bluetooth connection), and access additional information to help you get the mo out of your Dash.